After I spent six months watching all the movies made under the Marvel Cinematic Universe (from Iron Man to Ant-man and the Wasp), I've spent the last two months watching all the movies in the Harry Potter universe (from Philosopher's Stone to Grindelwald's Crimes). As I've written earlier, fiction is not just entertainment for me, but also a source of inspiration. And there are many things in the Harry Potter stories that has inspired me. As I re-watch some of these sets of movies that I've liked, I've been trying to take away what I can and incorporate them in all other areas of my life. I've already given a shot to incorporating some Harry Potter related content in my comic acts, some of which didn't go as well as I had expected the first time, primarily because a lot of the people in the audience weren't particularly acquainted with the stories. So, I decided to put down a list of things that has inspired me about the Harry Potter stories as I think this is a set of books that everyone ought to read. In The Prisoner of Azkaban, Professor Lupin, the Defense Against the Dark Arts teacher, introduces the class to a Boggart. A Boggart is something that takes the form of what the person in front of it fears the most. When Harry faces the Boggart, the Boggart turns into a Dementor. A Dementor is a creature that surfaces the most horrible memories from your past and makes you relive them. Whenever Harry faces a Dementor, he passes out. 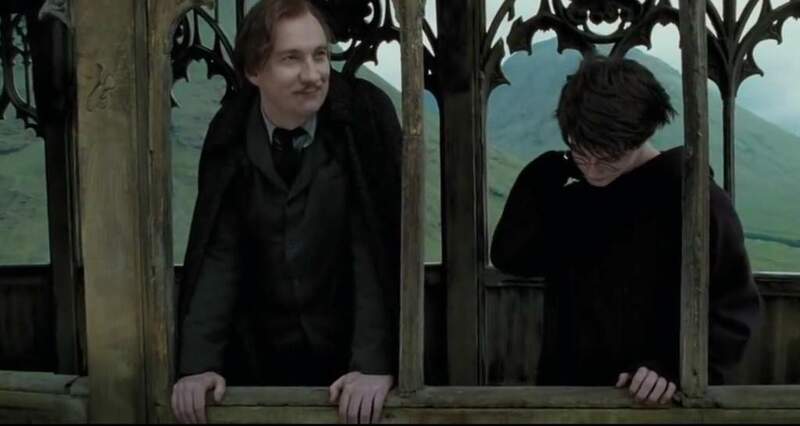 So, he brings that up with Professor Lupin and asks him why the dementors affect him so strongly while they don't affect any of his classmates, who all managed to stay on their feet. That's when Professor Lupin tells him, "You have seen a lot of horrors in your past that your classmates can't even begin to imagine, Harry. So don't be ashamed that you react differently." We often compare ourselves to our peers and think that we ought to be achieving as much as them or more and feel ashamed or disappointed when we don't. Like Harry, we all come with our own pasts and backgrounds that are not always comparable to those of our peers. All we can do is to assess whether we are getting better and are achieving the best we can given where we started off and what we have encountered in life. In The Goblet of Fire, as part of the second task of the Triwizard tournament, something valued by each of the four contestants is taken under water and the task for each of the contestants is to rescue what has been taken from them. While Harry gets to the four captives first, ahead of the other contestants, he stays back in an attempt to rescue all four of the captives, while he could have simply rescued his own and gone on to win the task. As a consequence, he comes last. While this is just one instance, there are many instances in the books where many characters that we admire show that they would consistently pick values over the prize. The prize is immediate, tangible and has obvious significance. While the values have none of those things. Yet, in a long enough time frame, values wins out. At the end of the task, Dumbledore intervenes to grant Harry second place in the task rather than the fourth due to his persistence towards rescuing all the captives. Everyday, we are faced with situations where we have to make a decision over whether we want to stick to our values or to pick the immediate prize. And we all put ourselves in trouble by making exceptions. When there is some room for doubt in our minds where we are willing to allow the prize to come ahead of the values in some situations, even just 2% of the situations, that adds a lot of cognitive load on us where we have to reason out whether every situation we face falls under the exception or not. When there is no room for doubt, when there are no exceptions, we always act out of our values irrespective of the consequence. In The Order of the Phoenix, when Professor Umbridge prevents the students from practicing defensive spells and forces them to simply learn the theory and history, the students are incensed as they feel they aren't being equipped to defend themselves against the dangers out in the real world as posed by Lord Voldemort and his death eaters. Faced with this situation, they decide to take things into their own hands and start a student organization called Dumbledore's Army, where Harry teaches the other students to practice defensive spells. Who we are is determined heavily by the environment that we are in. Harry and the others could have accepted the situation they were in and did what the society and the system had designed for them. They could have followed all the rules. And that would have been detrimental to them in the longer run. We do this all the time at our work places and in the cities we live in. We raise our hands and say that the system doesn't support our ideas or that the culture isn't supportive of what we want to accomplish, and we give up. Instead, if we are deliberate about what we want in our lives, we will take the initiative to find ways to make it happen, even if it means subverting existing ideas and systems. If we truly believe in something, we ought to act to make that change happen rather than simply sit back and complain and philosophize. Harry Potter, the boy who vanquished the dark lord before he could barely speak or walk, was so famous and such a celebrity that everyone in the wizarding world knew who he was. And yet, he spent the first ten years of his life living in a closet, being treated like a pest, living on hand-down clothes from his cousin, with no friends or family that loved him. On his eleventh birthday, when he finds out that he is a wizard and there is a whole world that worships him, one that he had no idea even existed, he is full of fascination and wonder. His humble nature heavily derives from the vantage point he has of the life that he has had before his re-entry into the wizarding world. There is a stoic philosophy called negative visualization, which is a technique where we visualize how life would be when all that we hold dear is lost. This exercise puts what we have today in perspective and makes us grateful towards the things we do have rather than feel bad about the things that we don't. Harry didn't have to consciously follow this technique as he had a history of ten years where he had lived the life that his negative visualization would paint. We spend a lot of our waking hours thinking (and worrying) about the things that we don't have. A little negative visualization will show us all the things that we do have that we simply take for granted. In Harry's very first interaction with Draco Malfoy, Draco looks at Ron Weasley standing next to Harry and suggests that Harry ought to hang out with the right kind of wizarding families, indicating that the Weasleys are not. Harry ignores Draco's extended hand and responds, "I can tell the right kind for myself, thanks!" Our instincts are more discerning than we give them credit for. It's true that we need to act logically and on data and not on our gut. But, our gut isn't just a random feeling. It is something that has been drilled into us over generations of evolution. If your gut tells you something, even if you don't go with it right away, at least invest in gathering more evidence that will convince you to suppress the intuition. When trying on the Sorting hat in The Philosopher's Stone, the Sorting hat suggests that it thinks Harry could do well in Slytherin. But he asks to be not sorted into Slytherin. In the end, the Sorting hat heeds his choice and places him in Gryffindor. Later on, in The Chamber of Secrets, when everyone thinks that Harry is the heir of Slytherin, he recounts the Sorting hat story to Dumbledore. And Dumbledore tells him, "It is not our abilities that make us who we are, it is our choices." We often let our abilities and our position in society dictate who we are rather than make those choices ourselves. Becoming a billionaire is not about having a billion dollars, but about becoming the kind of person to make a billion dollars. We need to make the right choices, and we will make the right choices when the choices are aligned with our values. We can either let the world sort us and mould us based on the abilities and attitudes that we have, or we can make our choices and turn into the kind of people that need to make those choices come true. When Dobby the house elf first visits Harry, he offers him a seat and asks him if he'd like to sit down. In a world where wizards enslave elves and treat them no better, Harry's sign of respect brings tears of joy to Dobby's eyes and his respect for him grows several fold. As Seth Godin says, things like slavery, not allowing women to work or vote, etc were all honourable things to do at the time, until they weren't. Now, they are dishonourable things to do. Just because something is considered the right thing to do by everyone around you, doesn't mean you have to find it the right thing as well. Have your own point of view on things and your own perspective on the world and be unafraid to voice it. Show respect to everyone and their ideas, unless your values tell you otherwise. The Order of the Phoenix is led by Dumbledore while the Death Eaters are led by Lord Voldemort. The moment Voldemort was vanquished, many of the death eaters switched sides claiming that they had been bewitched to support Voldemort and they weren't acting out of their will. This wasn't true in the literal sense, but it was true that many of the death eaters feared the Dark Lord more than they respected him. While Voldemort inspired fear in his followers, Dumbledore inspired loyalty. When we inspire fear in others, we need to cling ever harder to the status and wealth and power that we have, as we can no longer inspire fear once we lose control of these. Whereas, when we inspire loyalty, we don't cling to anything as we realise that there is no need to have any of those things in order to inspire loyalty. We merely do it with our thoughts, values and our actions. In The Philosopher's Stone, when Neville notices Harry, Ron and Hermione sneak out at night, after having been punished for it already, he stands up to them and tries to stop them from sneaking out. When we notice the people we care about do things that may not be particularly beneficial to them, or are even downright harmful to them (like smoking), we don't stand up to them and challenge them about it. We just let it be in the hope that that's a realization they need to come to on their own. We all do a lot better when we are accountable for something. We are never late for a flight, but we are often late to meet our friends. We plan our work to meet a deadline rather than do it when we are in the best position to tackle it (mentally and physically). When you see someone you care about straying from what's good for them, stand up to them and point out what they ought to be doing instead. Hold them accountable. When Harry realises that he needs to kill Voldemort seven times over rather than just once, the task seems onerous. But, such is life. Every time we kill an obstacle, we realize that there is another horcrux for it which we need to go after and eliminate. It is never an easy ride. But, persistence pays off in the end. A lot of these boil down to our values at the core of it. The real challenge is to build the right set of values. Which is the other aspect that I love about fiction. There is such an abundance of stories out there where the common set of values of the protagonist across these various stories stands out clearly. And that common set is one for all of us to aspire for.